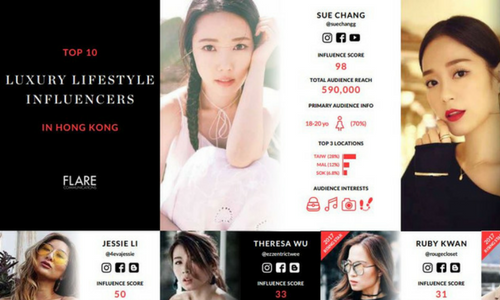 SERMO has launched its fourth annual Influencer Index – its analysis of the top digital influencers and “ones-to-watch” in 18 markets worldwide, including Hong Kong and China. 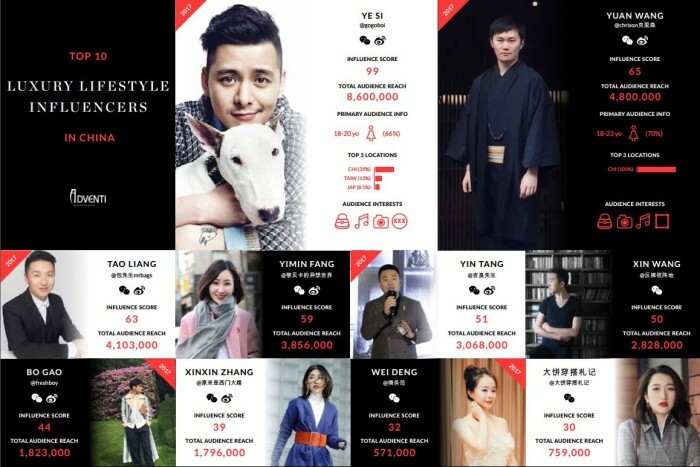 This years’ index focuses on the audience behind each influencer by adding a new layer of analysis: audience demographic data – who each influencer actually talks to, where their followers are located and what their interests are. The report also includes eight global influencer marketing trends to watch out for this year – including the increasing importance of Instagram Stories for reaching under 25s, WeChat mini-programs driving sales, and the rise of male influencers. The 2018 Index updates the network’s global and local rankings of influencers using its proprietary 70:30 digital influence algorithm – 70% data (an influencer’s total audience reach) + 30% human judgement (a score based on SERMO agencies’ experiences of the influencers’ professionalism, creativity and peer influence). According to the press release, SERMO partners use this algorithm when designing bespoke influencer marketing campaigns for clients at both local and global levels. SERMO has partnered with influencer relationship management technology provider Traackr again for the data element of the index. It’s easy to make assumptions about inﬂuencers’ audiences just from looking at their content and lifestyle, but not all is what it seems. For instance, 82% of UK style inﬂuencer Jim Chapman’s 9.1 million strong audience are teenage beauty-obsessed girls because he’s married to beauty vlogger Tanya Burr), and the majority of Netherlands-based Negin Mirsalehi’s audience are located in the US. At the same time, many inﬂuencers have multi-territory audiences which can be a plus for brands. But in China, India, the Middle East and Poland, a high percentage of top inﬂuencers’ followings are more concentrated locally than in other markets. So global brands working in those markets need to operate both a local and global approach to inﬂuencer identification. 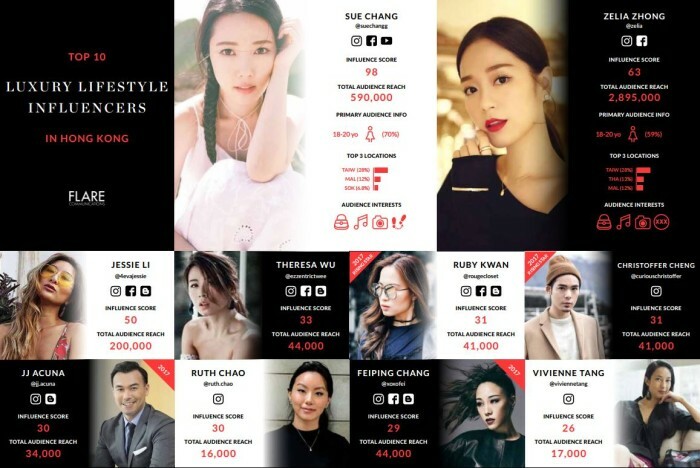 Engagement rates of top-ter inﬂuencers is starting to diminish – posts are becoming saturated by brand endorsement and even conﬂictng messaging as they cash in on their celebrity status. But this is being balanced by brands’ increasing willingness to work with micro-inﬂuencers. approach to their inﬂuencer marketing that includes stars and micro-influencers alike. Instagram’s Stories has become a key marketng channel for reaching those under the age of 25 – according to Instagram, this audience spend an average of 32 minutes a day consuming this ephemeral content. Over half of Instagram’s 500 million daily actve users are now watching Stories. In Germany and Ireland, blogs are still important for spreading brand messages, but in all other SERMO markets finding inﬂuencers who blog regularly is becoming harder as their focus has shifed to social. Long-form online and blog content are out of fashion. More and more professional make-up artists are turning their hand to Instagram. They share beauty hacks, perform live masterclasses and show you how to get favourite celebrity and runway looks – all with the professional expertise and experience many inﬂuencers can only dream of. The social media industry ﬂips the gender pay gap on its head, with female inﬂuencers commanding higher fees than men. But in fashion, grooming, food, comedy and lifestyle – male inﬂuencers are on the rise. There are double the number of men in our global top 18 vs 2017 – they now make up 20%.